Organizers of Saturday's Democratic presidential debate in Goffstown, N.H., left hand warmers at every work station in the media filing center. 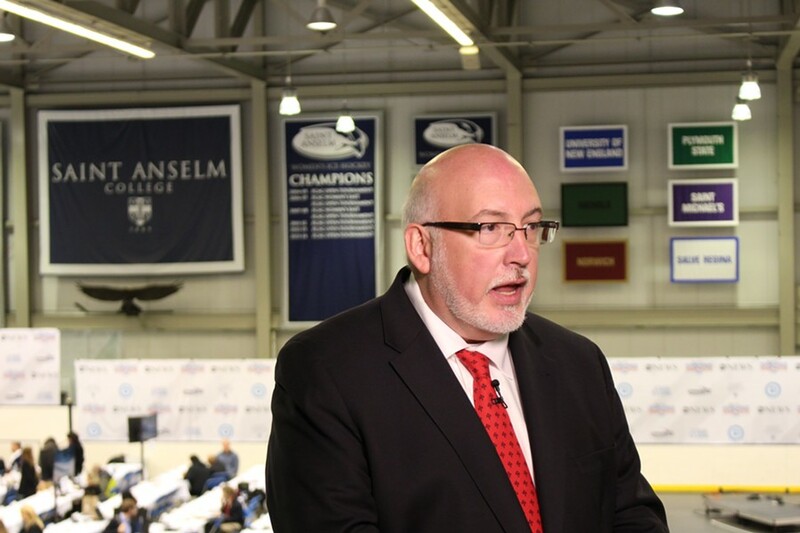 They did so, presumably, because the press file and adjacent spin room were perched atop the ice in Sullivan Arena, where the Saint Anselm College Hawks boast a winning record in the New England Hockey Conference. Speaking to reporters in the arena before the debate, campaign manager Jeff Weaver referred to the suspension, which was lifted late Friday, as a "death sentence" and a "very heavy-handed, unfair overreaction by the chairwoman." He was referring to DNC chief Debbie Wasserman Schultz. "I think what it demonstrates is there are establishment forces out there that are very, very concerned about the success of this campaign," Weaver said. 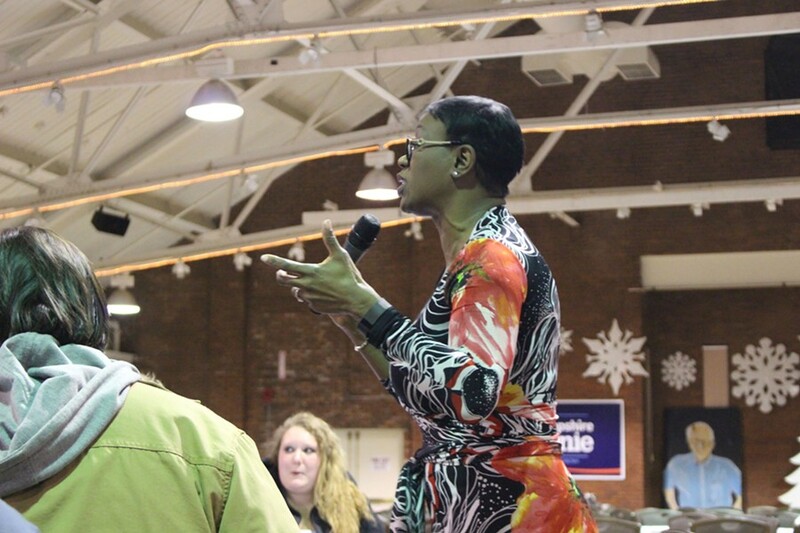 Nina Turner, a former Ohio state senator who endorsed Sanders last month and who has been campaigning on his behalf ever since, called the DNC's decision to "bring down a hatchet" on the Vermonter's campaign "stunningly wrong." "I'm embarrassed right now as a Democrat that the DNC would do something like that — attack one of your presidential candidates in that way," she said. At least in their public comments, top Sanders supporters directed much of their ire at the DNC, not the Clinton campaign. But they repeatedly suggested that the former was in the tank for the latter. "I would say that, for a while now, we have believed that some of the decisions made by the party were made to benefit Secretary Clinton and her campaign," senior Sanders adviser Tad Devine told reporters before the debate. "For example, the fact that we're having a debate on the Saturday night before Christmas — that our last debate in Iowa was on a Saturday night." Asked Saturday afternoon whether Wasserman Schultz should resign from her role atop the DNC, Weaver paused and considered the question. "I'm not going to go that far," he said after some reflection. "That's for the DNC officers and others to decide." Why not, given all his tough talk? "Let me just say this: When Sen. Sanders secures the nomination, I think there'll be some leadership changes at the DNC," Weaver responded. "I'm not really worried about it," Wasserman Schultz said later Saturday upon learning of Weaver's words. "I serve at the pleasure of the president of the United States — and I expect to continue though my entire tenure." The DNC chair wasn't above flinging the zingers herself. Asked if she had "overreacted" to the data breach, Wasserman Schultz took the opportunity to characterize the Sanders campaign as dysfunctional. "I called Sen. Sanders and I'm the one that informed Sen. Sanders of his own campaign's breach," she said. "And he was very troubled by that." Soon after the candidates took the debate stage that night, Sanders apologized for the actions of his staff. Though he sounded, at first, like he wasn't all that sorry, he quickly delivered a full-throated apology — to Clinton and to his supporters. "This is not the type of campaign that we run," he said. After the debate, Devine told reporters in Sullivan Arena that his boss handled the exchange "brilliantly." 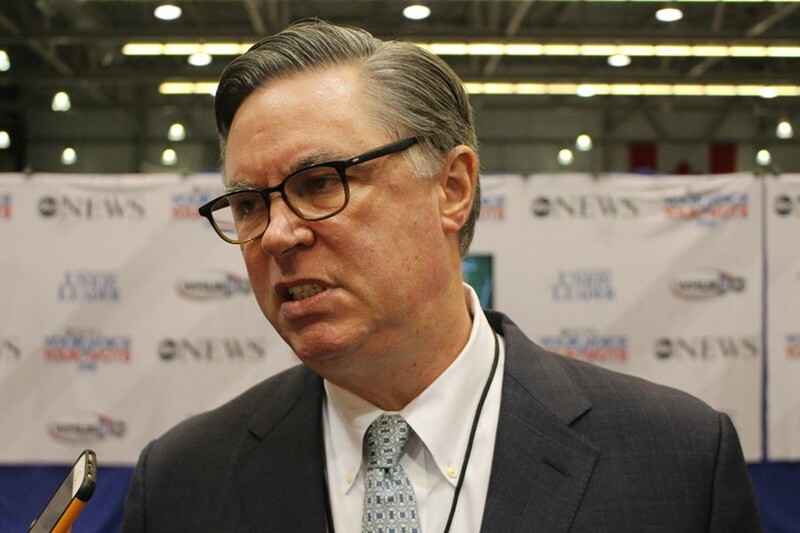 "I think he made an important point that, listen, the American people don't want a bunch of political squabbles between candidates and parties," said the guy who'd just been squabbling with a candidate and a party. "What they want are candidates who will deal with the real issues that confront their life." Weaver, too, said he'd been impressed by what a "big person" Sanders had been during the debate. "I think we saw it in the first debate when he talked about 'those damn emails,' and you saw it again here tonight," the campaign manager said. "That's just the kind of person he is." So was Weaver, like his boss, ready to apologize to the Clinton campaign — even though he refused to do so hours earlier in an interview with Politico? 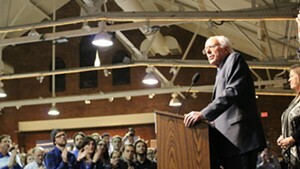 "I think the candidate speaks for the campaign, and I thought he was the biggest person on the stage," he said. "And, as always, we are very, very proud of Bernie." "That wasn't my question," Seven Days pointed out. "My question was: Are you sorry now?" "I'm sorry it happened," Weaver said.